Watch our fun 2-minute video describing this slightly-twisted project. 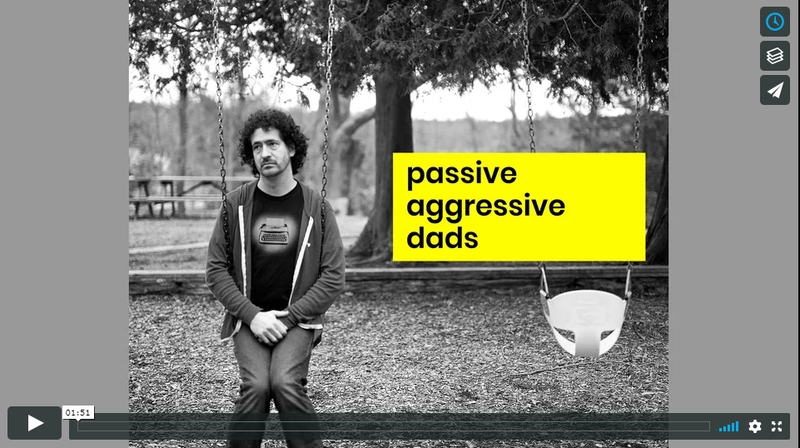 I’m happy to announce that the campaign to support my new short film, Passive Aggressive Dads, has exceeded it’s goal of $6,000! Jill got off the phone with our realtor and told me that the two little girls moving out of our new house in York, Maine, have a bunny and they wondered if we wanted it. I immediately pictured a future with two little girls of our own, running barefoot around the thick backyard grass, laughing and skipping around this bunny, while it sat chomping on a cartoon-orange carrot, fresh picked from our perfect, little garden.